September 23-24 will see the much-loved Olympia Beauty Show return to London’s Grand Hall. This annual event brings trade and professional visitors with a passion for hair care, cosmetics, beauty therapies and spa treatments (and more!) together in one place to discover the latest trends and technologies emerging in these sectors. Many product demonstrations are also presented across the event’s three stages. It is quite likely that a number of successful UK beauty bloggers will be among the 20,000+ attendees. The Olympia Beauty Show – and similar industry events – provide ample opportunity for online beauty writers to network with brand CEOs/directors, as well as fellow bloggers. If networking is successfully undertaken, future product reviews and invites to additional beauty events can be secured. Many bloggers however, simply recite the URL of their blog and/or their Twitter handle at PRs and fellow bloggers they meet at such events. The problem is, PRs can meet literally hundreds of people at beauty shows, and remembering everyone’s details is highly unlikely. Many beauty bloggers think they shouldn’t bother creating physical promotional business cards or leaflet printing because they work in the digital realm, but this really is not so! Yamari started her own blog around two years ago because she was feeling “creatively frustrated”. She had just finished a journalism degree and couldn’t find a job in the media industry, and so she took a job at a department store (where she was forced to work in the kids’ dept). Soon after, Yamari decided to start her own blog, to allow her restricted creativity to flow, and to share her passion for all things fashion and beauty. 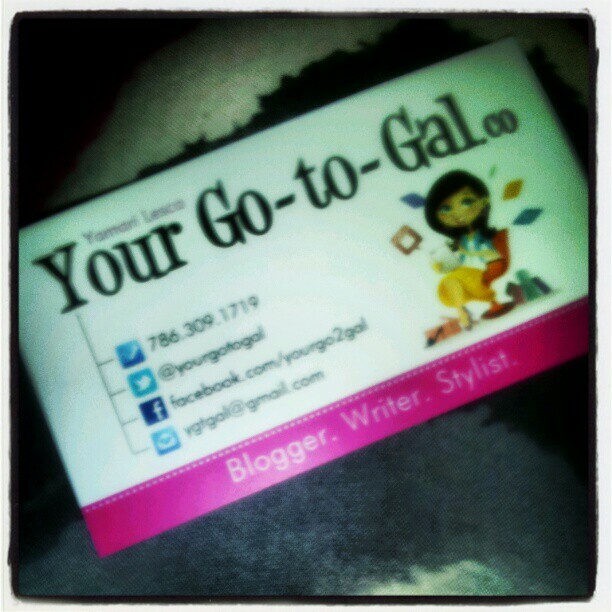 Why does Yamari use business cards? When posed this question, Yamari said her main reason for using business cards is to create a professional image for her site. She wants to inspire confidence in the beauty-industry folk she meets, and show that she takes her blogging exploits very seriously. Alexis hails from New Orleans and has always had a fascination with cosmetics. After spending much of her youth standing within the beauty and makeup aisles of local retailers and experimenting incessantly with different looks, Alexis eventually became a contributor at Cover Look Collection; for whom she is also the natural hair correspondent. Alexis is also the community manager for beauty site Every Bliss. 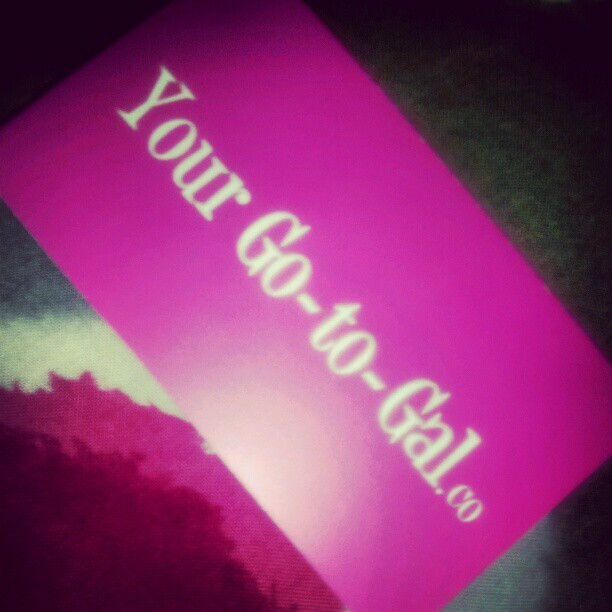 Why does Alexis use business cards? 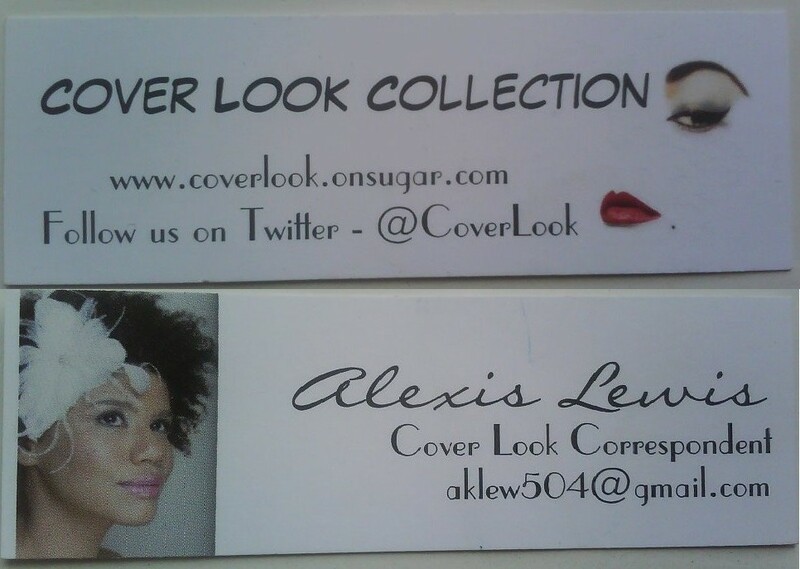 Alexis uses the business card above as part of her work as Cover Looks Collection’s natural hair correspondent. Her primary reason for printing business cards was so people she meets at industry events would remember her more clearly. This aim is aided with the inclusion of her picture to one side of the card. Alexis wanted to keep the overall design simple, while making it clear which industry she work in. Her contact information is included on a white background in order to not detract attention.